I wrote the above poem this morning as I listened to a crow calling to me, perched on a tree outside my window. Today is the beginning of my three day celebration of Samhain, and tonight belongs especially to the daoine maith, the Good People. I've written several times over the years about how my family celebrates Samhain and about the history of the holiday so today I decided I want to tackle a more personal topic, that is celebrating this holiday with a child who has complex medical issues. One of the walls I often crash against in the wider pagan community is the inaccessibility of events and rituals for children who have issues, from autism spectrum disorders to physical mobility issues, that require accommodation. We are a community that prides itself on inclusivity, and yet I often see a lack of it towards children in general and specifically towards children who have behavioral or physical challenges. The biggest argument against it seems to be that something important will be lost if we change what we are doing to make it easier for children with different needs to attend. I disagree, and below I will explain how I have modified my own practice to accommodate my daughter. What frustrates me is that it doesn't have to be this way - while it does require compromise and reworking it is not impossible to accommodate families that need it. And I will never believe the Gods, ancestors or spirits are offended by the actions or needs of a child who is doing their best in the moment and only wants to be part of a spiritual celebration. So, to begin with: food. feasting is a big part of most reconstructionist faiths as well as other pagan religions. Allergies are things both adults and children deal with and should not ever be something that is treated lightly. Just because peanuts are your favorite treat doesn't mean it will kill you to skip bringing them to a group celebration, and being around them might just kill someone else. And that's not hyperbole. Let me fill you in on something all parents know - kids don't care about whether eating something will make them sick, if it tastes good they will eat it anyway. My daughter for many years was not allowed to eat gluten, soy, or dairy because of a congenital immune deficiency disorder which made her digestive system very touchy, and chocolate was something she could only have in very small amounts. That never stopped her from overeating things she shouldn't have when she had a chance with predictable results . Kids with allergies are not going to police themselves, especially younger ones, and I get really irritated when adults complain about how unfair it is that they have to skip out on a food they like or are complain about being expected to cater to someone else's allergies. On a related side note, its super frustrating when there is only dish at a pot luck or similar event that a child can eat and everyone else is taking huge servings of it, not leaving enough for that child to eat very much. Shouldn't this be common courtesy? Finally behavioral issues; this is the one that has caused me to stop bringing my children to most events, in all honesty. I'm not talking here about kids who are destructive or violent and really shouldn't be expected to handle being in a ritual setting without disaster ensuing. I'm talking about kids who can't act their age or who can't focus or stay quiet or still through a ceremony. People have expectations for the behavior of children at certain ages and when your child isn't conforming to that not only is the child assumed to lack discipline but the parent is criticized for being too lenient. And in my experience even explaining that the child in question has a medical diagnoses makes no difference. People come to a spiritual gathering or ritual expecting a moving experience and they do not in any way want to deal with a child who can't be still or quiet. My daughter has a sensory processing disorder that means she is sensory seeking (she touches everything) and also that loud noises and crowds upset her. She has been in occupational therapy since she was a toddler and behavioral therapy since first grade, but these are not things that will ever go away, they are part of who she is. When she was small people were pretty tolerant of her quirky behavior, but as she has gotten older the tolerance has largely evaporated, especially with people who don't know her. I find it unfair to put that expectation of perfect behavior on any child but especially those that have extra challenges with conforming to behavioral expectations. This one is a double edged sword though because I have also had problems with judgment from people (not necessarily at pagan events, but in general) when I have to leave early because my daughter has hit her limit and is on the verge of a sensory meltdown. Children and parents who deal these issues shouldn't feel unwelcome. As a reconstructionist I do not believe this is how our ancestors would have reacted to people who had different needs, not when community was the center of celebration. Babies cry, women need to nurse during rituals (see point one), children fuss, kids need to use the bathroom at inopportune times, and so on. It seems natural that children who have behavioral issues would also be understood as part of the community and while - obviously - extreme disruptions can't be allowed minor disturbances and less than perfect behavior would be tolerated. The community would find ways to make sure everyone possible attended ceremonies, I think. And while food issues may be a more modern thing I know our ancestors made sure everyone, even the poor and beggars, had something to eat on ritual days. So, how do we celebrate with my youngest daughter? We start by talking a lot ahead of time about the holiday, because she is very into routine and unexpected things can throw her off. On the first day of Samhain we go trick or treating and when we get home we leave out an offering for the Daoine Eile. The children each choose something to offer from the candy they have gotten. On the second night we honor the Gods by lighting a fire in my largest cauldron. Because my daughter is phobic of the dark we do not do turn out all the lights, although I used to do so before to mimic the ceremony at Tlachtga. I tell the children stories of different events that have occurred in myth on Samhain and often we end up talking more generally about different Tuatha De Danann that interest them. 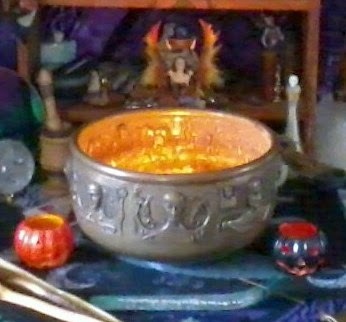 We have a ritual to an Morrigan and an Daghda and make offerings to them, and divination is done for the year to come. Sometimes my youngest daughter stays for the whole ritual, sometimes she doesn't. On the third day we honor our ancestors. An extra place is set at the table and water and food are set out at dinner. We light white candles on our ancestor altar and we tell stories about our beloved dead. My youngest daughter struggles with expressing her emotions so she enjoys the stories of the older dead who she never knew but will usually leave when we talk about the more recent dead. We offer coffee on the altar and leave out something on the doorstep for the wandering dead. And that's it. The biggest accommodations we make for my daughter are letting her come and go as she pleases during ceremonies, and letting her sit or play during the ceremonies if she's having trouble focusing, and making sure nothing is too dark or too loud. We also keep each focused ceremony short and to the point because that's easier for her to handle. It's not that hard and while it has changed how I conduct rituals and the flow of my ceremonies I do not in any way feel that I've lost any substance. In a situation where I feel compelled to do something really complex or drawn out I do it by myself but honestly that's very rare. My religion is part of the legacy I want to pass on to my children - all my children - and its important to me that she be and feel included. *I do acknowledge that the issue of having an interpreter available is complicated because it is not a common enough skill. Maybe we should all try to learn a little sign language to bridge the gap. So here's another translation from Old Irish, this one is the Morrigan's prophecy from the Cath Maige Tuired. The Old Irish text is from Gray. The English is my own, as always with the caveat that I am not fluent but am offering my own understanding of the material based on the way I personally translate it. destructive battle cries held back. land that goes in strength and abundance. *scíath means shields but also "fighting man, warrior, guardian". The usual translation here is given as shield, but I prefer the imagery that comes with warrior, however it may also be taken as "spears supported by shields, shields supported by forts"
** alternately "wished for by flesh"
*** this line "boinn a mbru" is often translated as "calves in wombs" or something similar, assuming boinn should be boin or boinin - calf, and taking bru as womb. I believe in this case boinn is actually ad-boinn, a form of apad meaning to declare or proclaim, and bru here means boundary or border. I think this makes the most sense in context with the preceding and following lines. If you read the English version of the Cath Maige Tuired, whether its the Stokes or Grey translation, and you compare the English versions to the Irish version you will see that several passages have not been translated at all. It may be because these sections are more difficult to understand, or lacked a poetry that the translators were aiming for, or it may be that these sections - all dealing with prophecy and battle magic - were a bit too pagan for the translators. For modern polytheists studying the material I believe these passages do have great value and so I have undertaken to learn Old Irish and attempt to translate them myself. "Then she said to him, "Undertake a battle of overthrowing," The Morrigan said to Lug, "Awake...." (Gray, 1982). The ellipses at the end indicate that there is an untranslated section of Irish that followed, which Gray, for whatever reason, chose to not to include. The Whitley Stokes version omits the entire passage. "Arfolmais cath mbrisi." Conid dei atppert an Morrigan fri Lug, "Diuchetrai cein cuild ansaim slaidither truasfidir troich tarret brothlach mbodhmhou indraither tuatha do agath diuchtra..."
"Undertake a battle of overthrowing," so sang the goddess Morrigan turning to Lug, "Awake, make a hard slaughter, smiting bodies, attacks boiling, greatly burning, devastating, the people to a man crying out..."
"Undertake a battle of overthrowing," The goddess Morrigan chanted to Lugh, "Awake, make a hard slaughter, smiting bodies with furious attacks, the sound of battle deafening, devastating the people who cry out to the last man..."
There are several more like this, including Lugh's battle magic chant and the Morrigan's prophecy at the end of the battle. My goal is to translate these myself and offer my versions here for anyone who might be interested in them, with the understanding that they are being done on a purely amateur basis. However even on that level I think the material has value and is worth studying and considering. I've always been of a more mystical bent, but its one of the most difficult things to discuss. Not because mysticism is so difficult to talk about but because mystical experiences tend to lose something in the translation. Also one of the first things most people ask is how do I do what I do, followed by how can they do it too, and the answer to some of that is simply that I don't know. I don't know how I get some of what I get. Certainly I do use methods, both modern and reconstructed older Irish ones. But other things just come as they will, and I don't know how or why. I dream often of Otherworldly things, for example, and those dreams come on their own not at my will. I've tried a few times recently to convey some of those experiences here and here. Last night I dreamt of Odin, the rune ansuz a burning brand that both consumed and was consumed. I dream often of him, and of going to the Otherworld, and of the Morrigan. This time of year I dream of the Wild Hunt. I could, of course, say these are merely dreams or I can see them as something else entirely. Sometimes the same experiences come in waking dreams or in imbas forosnai experiences, the latter were I am seeking them intentionally. Another recent dream I shared on my facebook page involved a vision of myself standing at the edge of the vast sea, with a voice on the wind crying "Lost! Lost!". And I stood with my feet equally in water and on dry sand calling them in, back from the ninth wave, back from exile, and like birds they came, like ravens on the wing, soaring over the churning water.... I woke up in the dark early that morning to blood (my own) and tears (not my own). Since the Morrigan's Call Retreat last June I've been having a lot more of these experiences that involve the Morrigan and related goddesses, which makes sense I suppose. I've seen Nemain bloody and terrifying, and Macha swinging her sword through the air with a clarion cry. I've seen Badb, both winging over the battlefield and in a river that was as much blood as water. I've seen the Morrigan standing on a hilltop, singing. 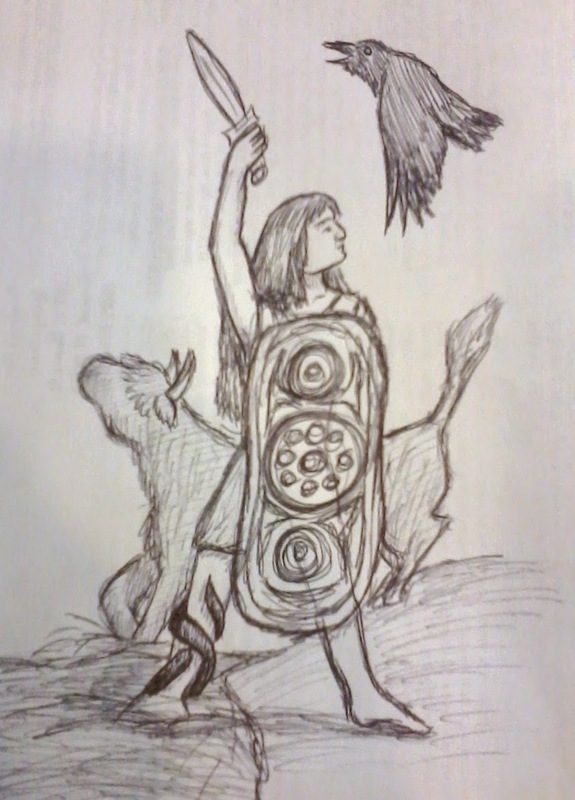 I feel her calling to those who honor her, those who follow her, and her call is both a compulsion and a challenge. There is something coming, something electric in the air, like the charge of ozone before lightning strikes or the way the wind rises heralding a storm. I can feel it. I hope we are all ready. I realize I've been neglecting the blog of late, and I apologize for that. I do hope to be back on a regular schedule soon, but I've been dealing with a variety of pesky real life issues that take enough of my attention that I just don't have the time to get any nice juicy blogs done. Bear with me and it'll get better. Some of this has to do with an increase in the amount of writing I am doing elsewhere, and some of this has to do with child related things, but the end result is not enough blogging time. To fill you all in on what I've been up to in general. 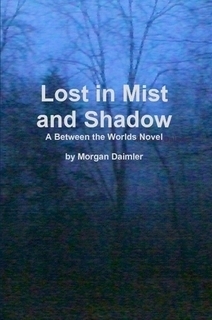 I wrote a couple guest blogs for Raise the Horns both on the Morrigan but very different in topic and tone. I submitted a couple essays for the next issue of Air n-Aithesc, a wonderful CR journal that comes out twice a year. I submitted an article for ADF's journal Oak Leaves, and another for the e-zine Goddess Alive! and I am working on two more for other e-zines as well. I've been asked to do an entry in another forthcoming anthology by my publisher, which should be interesting. I'm eagerly anticipating the release of my 9th book in December, Pagan Portals: The Morrigan, and recently finished the draft of my second urban fantasy novel which will hopefully be released soon as well (I'm aiming for October 31st, if all goes well). So its been a very busy writing time for me, just not here. I'm also gearing up now to officiate a wedding, head off to a Morrigan retreat for Samhain, and I have the Changing Times, Changing Worlds conference fast approaching (I'm teaching 6 workshops this year on a variety of subjects). Basically, I've been very busy, but am hoping that things will settle down and allow for more regular blogging soon. 1. Writing as a career is a job like any other and should be treated as one. When I first heard this it offended my artistic sensibilities, but the truth is, well, it's true. I treat writing with the same work ethic I treated every other job I've had and that means if I have time to write I write, whether or not I feel inspired or in the mood. 2. Write what you enjoy reading about. This was some great advice from my friend Cathrine Kane and I've always found it to be valuable. When we write about what we like to read about we have more passion about the topic or genre and we also are more familiar with it. And its much more fun to write. So there you go, hope you all have a great day! 'til summer's sun shines again"